We're always interested to understand what motivates people to plan ahead for a time when they can't make decisions for themselves. In the second in our series of blogs featuring other organisations we work with, Usha Grieve from Compassion in Dying shares some insight relating to advanced planning for health and welfare decisions. “At Compassion in Dying, we believe that everyone should get the care and treatment that is right for them at the end of life. We know that 82% of people have strong feelings about how they’d like to be treated or cared for at this stage – but what if, due to illness or accident, we became unable to communicate these wishes or make decisions about our treatment or care? Despite our strong convictions, just 4% of us have planned ahead for this kind of situation. Fortunately, there are ways to help make sure you get the care and treatment you want. A Lasting Power of Attorney for Health and Welfare (LPA) allows you to give someone you trust the legal power to make decisions on your behalf in case you later become unable to make decisions for yourself. An Advance Decision allows you to write down any medical treatments that you do not want to have in the future, in case you later become unable to make or communicate decisions for yourself. Through our helpline service we speak to people every day about how they would like to be cared for and what they would like people to know if they couldn’t make or communicate a decision for themselves. They tell us about their hopes and fears for the future and what’s most important to them. Through talking to callers on our Information Line, we’ve learnt a lot about what motivates people to plan ahead and record their wishes for future treatment and care. Another common reason people give for planning ahead is to make sure loved ones and healthcare professionals are aware of their wishes for treatment and care. For instance, one caller said "My mother hated hospitals and had begged me not to admit her if she became unwell. So I promised her ‘no hospital’ admission. The LPA allowed me to enforce this." Many people tell us that they’ve planned ahead because they wouldn’t want to be kept alive when they have no quality of life. One caller said she had recorded her wishes in order “to avoid a situation where treatment is prolonged without the possibility of a meaningful life”. Others tell us they want to avoid possible pain or suffering, particularly if they have seen loved ones suffer at the end of life. Another reason people give for planning ahead is that they’re fearful that doctors or family members might purposefully ignore their wishes, or be unable to make difficult decisions, if they don’t record them in a legally binding way. 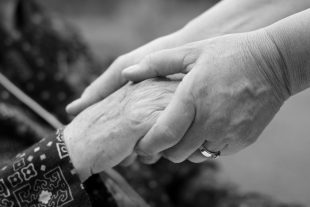 Where does Compassion in Dying come in? We’ve found that people who plan ahead are more likely to have a good death than those who don’t, so it’s really important to think about and record your wishes now. If you have any questions or would like support to plan ahead, you can call us free on 0800 999 2434, or visit www.compassionindying.org.uk. You can also create an Advance Decision or Advance Statement for free online at www.mydecisions.org.uk and a lasting power of attorney online at www.lastingpowerofattorney.service.gov.uk"